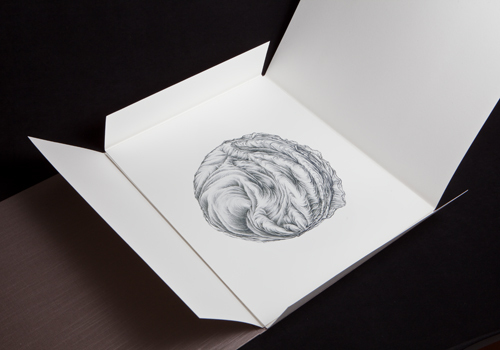 The six images from the installation mountainriver are reproduced as a limited edition of archival pigment prints which capture both the subtle nuances and dynamic textures of the original graphite and acquarelle stick drawings. The edition is printed on Concorde Rag 256 Bright White 100% cotton paper. 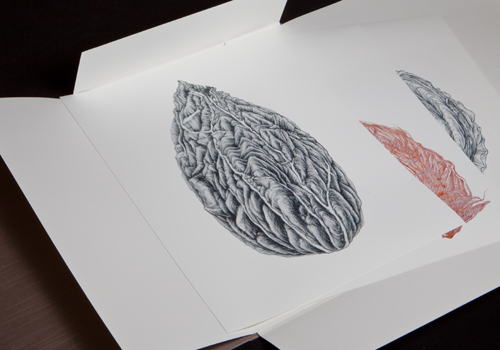 Each print is signed and numbered on the verso. The print size is 16 x 20 inches. The edition is limited to twenty-five sets. 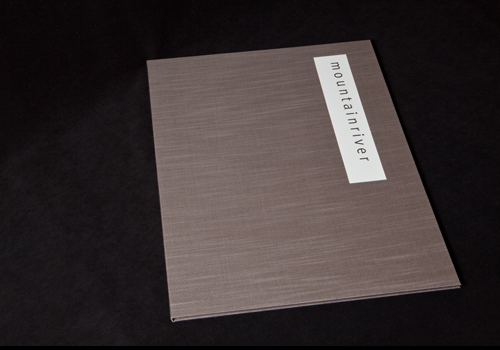 The prints are contained in a handsome hand-made portfolio with a silver cloth covering. Six different fruit stones are depicted: cherry, olive, lizhi, persimmon, peach and mango, drawn in a manner reminiscent of traditional Chinese landscape paintings. 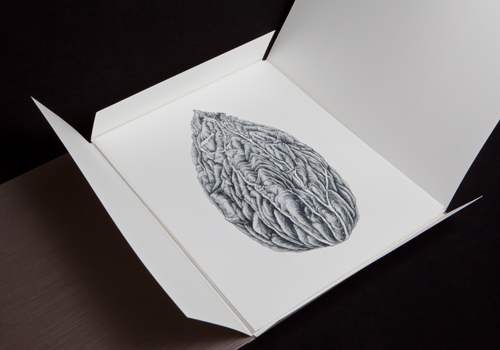 Floating against white space, each image takes on a mountain-like presence that plays on the subject's dual nature as both stone and seed. 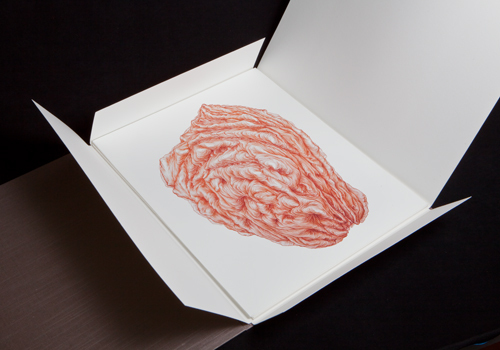 Printing by Urban Digital Color Inc., binding by John DeMeritt, for two tree press, San Francisco.